Lemax Nativity Figurines (Set of 8) depicts a miniature Christmas Nativity scene of baby Jesus, Mary and Joseph joined by Shepherds and their flock. A traditional miniature Lemax Village figurine set which has been part of the Lemax collection since 1999. 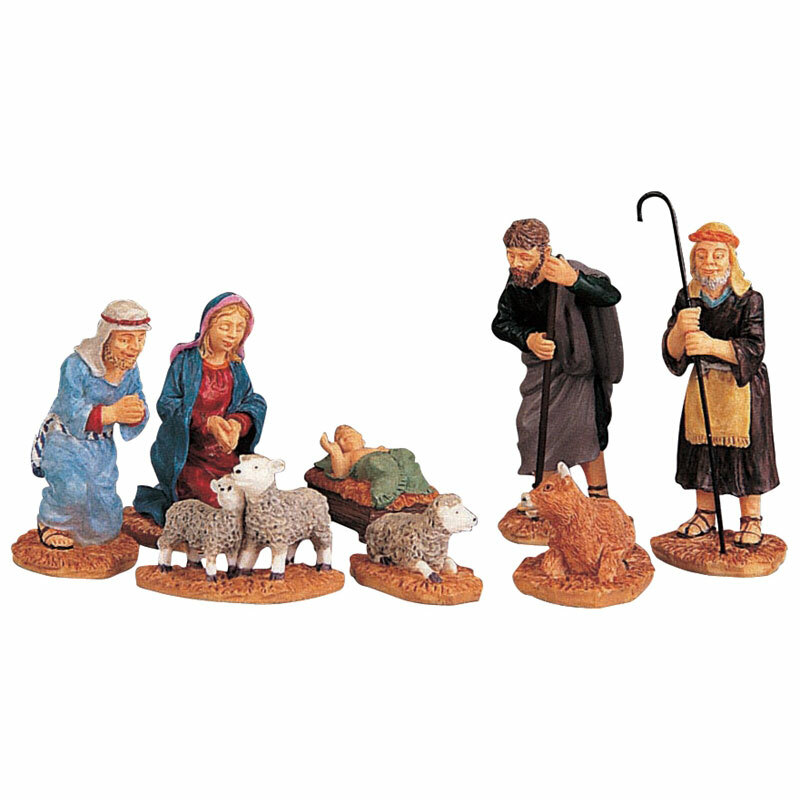 Nativity set comprises of nine individual hand painted polyresin figures on eight individual bases to compliment your seasonal Lemax Village display.